We can only imagine how excited Jennifer Hudson must be right now. 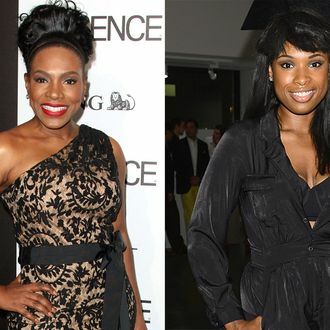 Vulture has just learned exclusively that Sheryl Lee Ralph has been cast to play her mom on Smash. Ralph originated the role of Dreamgirls diva Deena Jones on Broadway (the part played by Beyonce in the 2006 film). But even more thrilling for J.Hud? Ralph also played the mother of Lauryn Hill’s character in Sister Act 2: Back in the Habit, the movie Hudson has publicly declared her all-time favorite film. Sweet! (And also: really???) Anyways, as previously reported, Hudson will be playing new Smash gal Veronica Moore, a Tony-winning star “who reached [her] Broadway dream but paid a price for it.” No word yet on what kind of mom Ralph’s character Cynthia will be, but it’s probably safe to rule out another Mama Rose-type, considering the Bernadette Peters of it all.